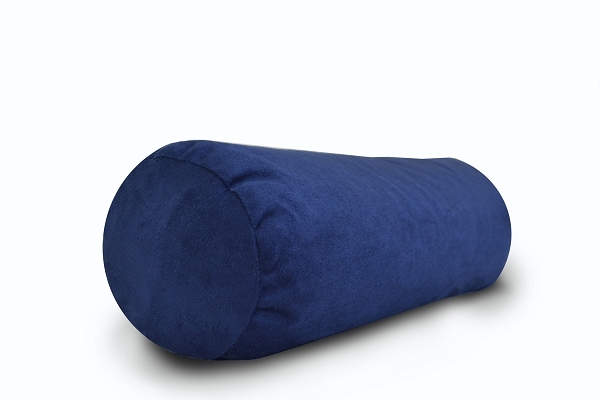 Our suede-like Microfiber Neck Pillow is Restorative yoga's newest friend! Filled with 100% organic buckwheat hulls, it's great for the environment and your rest. The super soft cover features a zipper that run the length of the cover for easy cleaning. You can also remove or add buckwheat hulls to customize it to your needs! This is perfect for a studio, a long flight or even the couch after a long day. They can even help with neck pain relief. For the ultimate in relaxation, pair a neck pillow with a Silk Eye Pillow. You deserve to treat yourself. My students were unanimous--they love these for savasana and other restorative poses.